Melanie Matthews is Project Coordinator for Academic Programs at the Haub School of Environment and Natural Resources. Before joining the Haub School, she held positions with the Wyoming Conservation Corps, the Wyoming Family Home Ownership Program, Albany County School District and the Wyoming Geographic Information Science Center, among others. 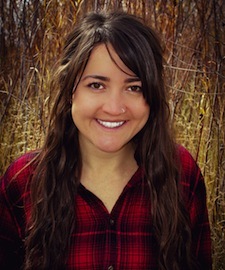 Her professional work includes remote sensing and GIS, reclamation ecology, conservation, and K-12 education. Her graduate thesis, titled Assessment of Rock Wall Terraces on Steeplands in Southern Honduras: Landslide Hazard Mitigation and Long-Term Sustainability, examined the effect of terraces on landslide incidence and behavior and land use changes associated with terrace implementation. She is specifically interested in tropical ecology and reclamation, specifically in Latin America, and geospatial analysis. Her hobbies include maps, anything in the outdoors, travel, cats, photography and reading. She has lived abroad in Costa Rica.